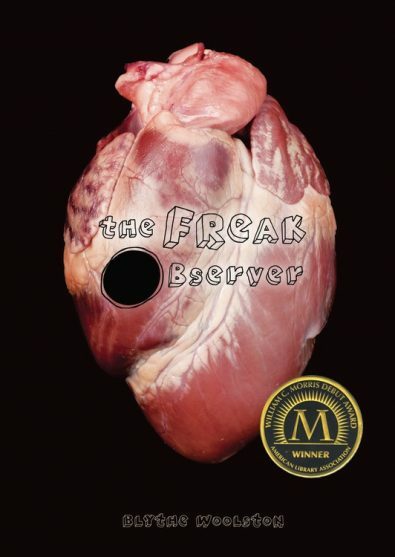 Winner of YALSA'S 2011 William C. Morris Award for a debut YA novel, THE FREAK OBSERVER is an extraordinary story by a unique, quirky - and highly intelligent - new voice in YA fiction. For eight years, Loa Sollilja’s world ran like one of those mechanical models of the solar system, with her baby sister, Asta, as the sun. Asta suffered from a genetic disorder that left her a permanent infant, and caring for her was Loa’s life. Everything spun neatly and regularly as the whole family orbited around Asta. But now Asta’s dead, and 16-year-old Loa’s clockwork galaxy has collapsed. As Loa spins off on her own, her mind ambushes her with vivid nightmares and sadistic flashbacks – a textbook case of PTSD. But there are no textbook fixes for Loa’s short-circuiting brain. She must find her own way to pry her world from the clutches of death. THE FREAK OBSERVER is a startling story of death, life, astrophysics, and finding beauty in chaos. Blythe Woolston learned to read when she was very young. It made her unfit for decent work, but it did prepare her for dumpster diving, collecting library fines, and the harmless drudgery of nonfiction indexing. However, one day when she was desperate for something to read, she started writing and discovered it to be satisfying—like making soup or painting with a two-year-old. 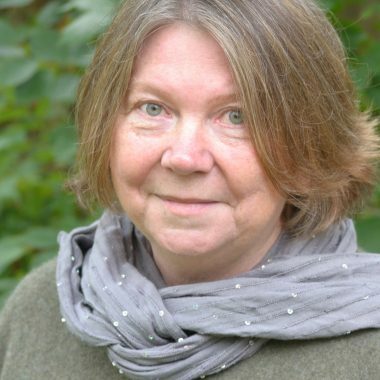 Her debut novel, THE FREAK OBSERVER won the 2011 William C. Morris Debut Award, a prize given by YALSA for the best YA book by a first-time author. BLACK HELICOPTERS was a Kirkus Reviews’ Best Teen Books of 2013. MARTIANS, published in 2015, has also received many accolades. In 2018, Blythe’s first picture book – WORDS – will publish with Candlewick, illustrated by Chris Raschke. She lives and writes in Montana.